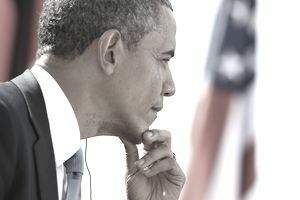 President Barack Obama's health care reform plan became law in 2010 as the Patient Protection and Affordable Care Act, more commonly known as Obamacare. His goal was to lower health care costs. He also wanted to improve the quality of life for those who couldn't get health insurance from their jobs. Without reform, mandatory health care spending on Medicare is unsustainable. Medicare payroll taxes and premiums cover only 57 percent of current benefits. The remaining 43 percent is financed from general revenues. Because of rising health care costs, general revenues would have to pay for 62 percent of Medicare costs by 2030. Congress agreed they were the main reason why health care needed to be reformed. The ACA would lower the two most expensive healthcare costs: emergency rooms and chronic illnesses. First, it made coverage affordable for more people. That allowed them to get preventive care and avoid the high costs of emergency care. It subsidized medications for the elderly to treat their chronic illnesses. These subsidies are paid for by Obamacare taxes on higher income families and some health care providers. It also required everyone to get insurance. That forced young and healthy people to pay health insurance premiums. That mandate was legally challenged. In 2012, the Supreme Court ruled that the federal government had the Constitutional right to tax those who didn't purchase insurance. Obama initially announced plans to reform health care as part of his 2008 Presidential campaign platform. His proposed a publicly-run program, similar to that enjoyed by Congress, called the Federal Employees Health Benefits Program. Obama promised "portable" coverage, which meant people would no longer be tied to their employer's plan. Instead, they could choose their own plan and keep it with them. They could choose the government-run "public option" or purchase their own insurance through an exchange. No one could be denied health insurance because of a pre-existing condition. The Federal government would expand funding for Medicaid. It would provide subsidies for those who made too much to qualify for Medicaid. Despite all these benefits, many people were afraid of this intrusion of the Federal government into their lives, saying it was leading down the path toward socialized medicine. Once elected in 2009, Obama proposed the Health Care for America Plan. It provided medical insurance similar to Medicare for everyone who wanted it. Those who were happy with their existing health insurance could keep it. The federal government's size meant it could bargain for lower prices and reduce inefficiencies. By pooling all the uninsured together, it decreased insurance risk. $130 for a single-parent family. $200 for all other families. It gave employers a choice, as well. If they provided health insurance that was at least as good as Obama's plan, they just kept what they had. If not, employers paid a 6 percent payroll tax, similar to unemployment compensation, to help pay for the Obama plan. Those who were self-employed paid a similar tax. It covered mental health, maternal and child health. It limited annual out-of-pocket costs paid by enrollees and provided direct drug coverage. A federally-managed exchange would regulate health care information. He also promised to modernize health care patient information under an all-electronic system. The plan promised to lower health care costs by 1.5 percent per year, since the federal government could bargain for lower prices and reduce inefficiencies, according to the Council of Economic Advisers. Lower health care costs translated to $2,600 more per family in 2020 and $10,000 by 2030. It reduced the budget deficit by 6 percent of gross domestic product by 2040. This would lower unemployment by 0.25 percent per year, creating 500,000 jobs. Obama's 2009 health care plan would have reduced visits to the emergency room by the uninsured. This would have saved $100 billion, or 0.6 percent of GDP, per year. Government-sponsored health insurance removed this burden from small businesses, allowing them to be more competitive and attract higher-skilled workers. The opposition thought Obama's plan meant that the federal government would dictate what kind of health care coverage they could get. Those who were happy with their existing health insurance were afraid they'd have to give it up, even though this wasn't true. Others were concerned about a proposed expert government panel that would determine what would be covered by new insurance plans (including government-sponsored ones) and what would not. Conservatives were especially worried that the government might decide to pay for abortions that wouldn't require any documentation or permissions for underage girls. Last but not least were objections to the cost and what it would do to the budget deficit. President Obama's purpose was to initiate discussion, which it certainly did. His plan inspired Congress to develop its own plans. The Senate originally proposed a system of nonprofit cooperatives instead of Obama's government-run insurance plan. On October 26, 2009, Senate Majority Leader Harry Reid announced a government-run option to the Senate bill. It included extending Medicare benefits to those age 55 to 65. It was offered to states where there was a proven lack of affordable options from private insurers. States could choose to opt-out if they desired. This option was dropped from the final bill due to opposition from the deciding vote, Senator Joe Lieberman. First out of the box was the House bill. The U.S. House of Representatives passed its first version of the Healthcare Reform Bill on November 8, 2009, after announcing it on October 29, 2009. It cost $894 billion over 10 years. That's $40 billion more than the Senate's subsequent bill and just below President Barack Obama's original target of $900 billion. It reduced the deficit by $104 billion and saved $460 billion over 10 years by levying a surtax on high-income earners. The House bill provided a government-run health insurance program similar to Medicare. It offered direct subsidies to uninsured people to help them buy insurance through exchanges. It required individuals to buy insurance and all but the smallest employers to offer health coverage to workers. The House bill ensured coverage for an "end of life" counseling session for seniors who wished to discuss this with their doctors. This was interpreted to mean that the government would mandate that seniors have these discussions on how to end their life sooner, heading down a "treacherous path toward government-encouraged euthanasia." Made sure private health care insurers covered those with pre-existing conditions. Put the health care insurance industry under federal antitrust laws. This ended the fragmented state-led regulations. Levied a 5.4 percent surtax on individuals making more than $500,000 and couples earning more than $1 million. Expanded Medicaid to those with incomes up to 150 percent of the poverty level, and increased funding to the states. Increased coverage for the Medicare prescription drug program, and increased Federal funding for state-run Medicaid programs. The Senate approved its version of the Health Care Reform Bill with a final dramatic vote on Christmas Eve 2009. It was most similar to the final ACA. The House bill contained stricter abortion language and a public option. The Senate bill had a tax on high-value insurance plans. It substituted a state-run health insurance exchange instead of the federally-managed public health care option. The Senate bill would have allowed 31 million people to afford health insurance. However, 23 million would still be uninsured. The bill would have cost $871 billion over 10 years. To help pay for the programs' expenses, it would have increased taxes on medical-device makers, drug companies, customers of tanning salons, and high-value insurance plans. The Council of Economic Advisers agreed that spending would initially rise to cover increased coverage. But, over the next 10 years, it would have lowered federal spending by 0.7 percent, thereby reducing the federal budget deficit by $132 billion. Required everyone to have health care insurance, but offered subsidies for those who can't afford premiums. It also would have expanded Medicaid. Employers who didn't offer insurance would have been levied a fine. But small businesses received a tax break if they couldn't afford insurance. Prohibited insurance companies from charging more to people with serious illnesses or who are older. Made it illegal for insurers to refuse coverage for pre-existing conditions. This provision kicked in for children in 2010, and adults in 2014. Allowed people and small businesses to shop for insurance plans through a government-regulated exchange. Limited patients' yearly health care costs. Added an excise tax on high-cost insurance plans. The confusion and complexity between all the proposals created much rumor-mongering, which led to myths about what was being proposed. The Senate Bill and House bill had to be harmonized before being sent to Obama's desk for signature. On January 26, 2010, both bills stalled when Democrats lost their filibuster-proof 60-vote majority in the Senate. That's when Republican Scott Brown won Ted Kennedy's seat in Massachusetts. Many thought this ended hopes of passing any health care reform bill. But President Obama launched a new health care reform proposal on February 22, 2010. On Monday, March 22, the House passed the Reconciliation Bill (H.R. 4872). It combined elements of the Senate bill and Obama's subsequent plan. The portion from the Senate bill became law when Obama signed it. The House portion was approved by the Senate. The whole thing, when signed by President Obama, became the Patient Protection and Affordable Care Act. On March 30, 2010, President Obama signed into law the Reconciliation Act of 2010 (H.R. 4872). The final Obamacare bill combined elements of the Senate and House bills. It kept a state-regulated insurance exchange, and restrictions on federal funding for abortion, but cut back taxes on high-end health plans. It increased the Medicare payroll tax on upper-income earners and added Medicare taxes on investment income. Those with pre-existing conditions who had been denied coverage would also get access to temporary health insurance coverage until the exchange is set up. Obamacare significantly changed health care by making insurance available to 32 million more Americans, or 95 percent of the legal population. Over the first 10 years, the Act would cost $940 billion. However, these costs would be offset by decreasing costs in the higher education loan program and increasing revenues from taxes on high-income households. Over 10 years, the true cost of Obamacare to the nation would be a $138 billion deficit reduction.